A storm brews over the shorelines of South Maui, as seen from a couple thousand feet elevation near O’o Farm in upcountry. From this vantage point, one can see both the north and south sides of the island, and the West Maui Mountain range running between the two. The air is cooler up here and the mornings and afternoons a bit wetter…it is not uncommon to be fogged in. This climate makes for good crop growth, which is why there are coffee, lavender, and flower farms around. 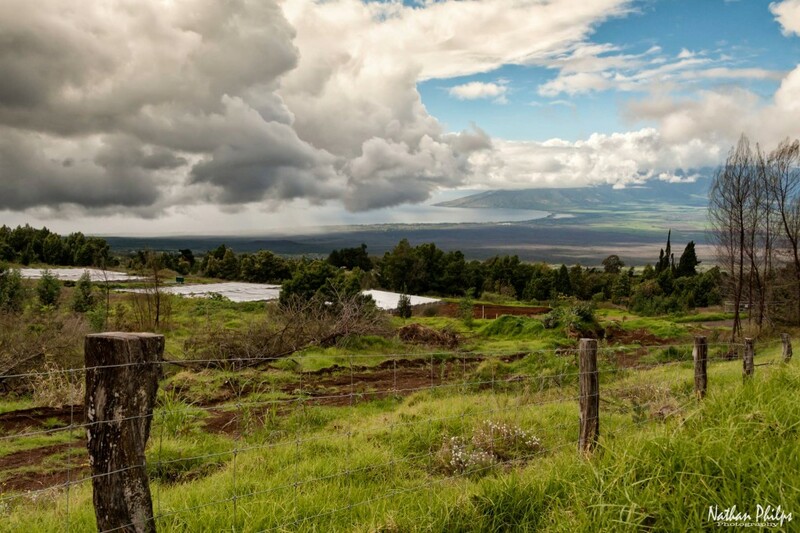 Maui’s famous sugar cane fields are seen in the valley floor below.